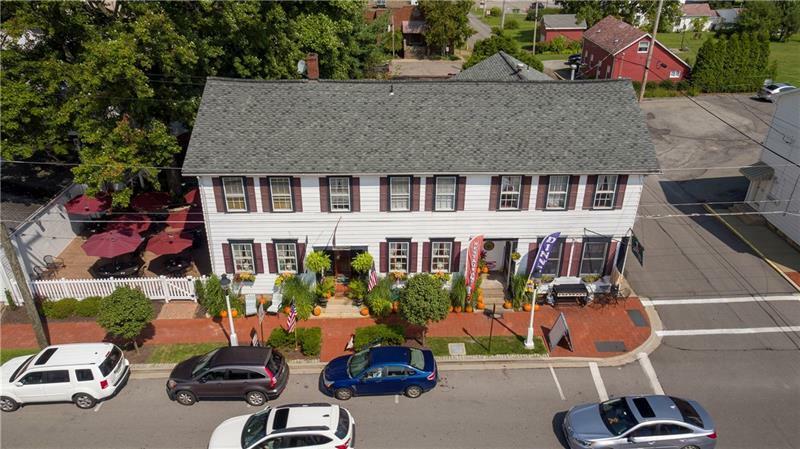 Circa 1800s Main Street gem in historical Saxonburg! 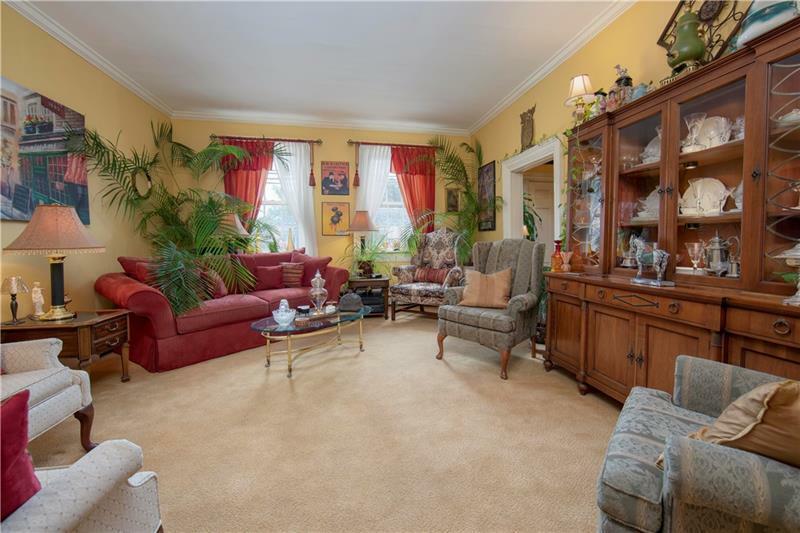 This meticulously renovated property has been restored to reflect the charm of old time Americana both inside and out. 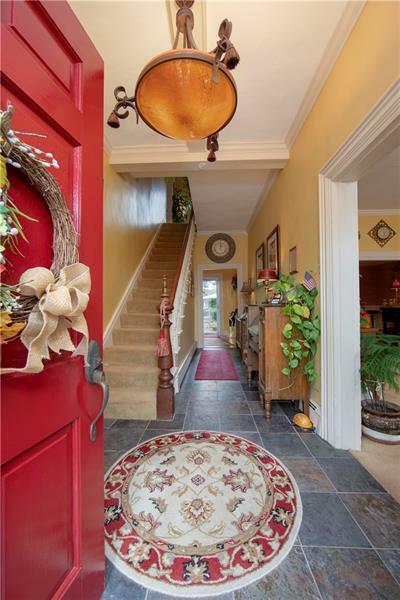 The grand foyer is accented by beautiful woodwork and high ceilings. The library room is a large space with beautiful built-in bookshelves, coffered ceiling and an inviting gas fireplace. 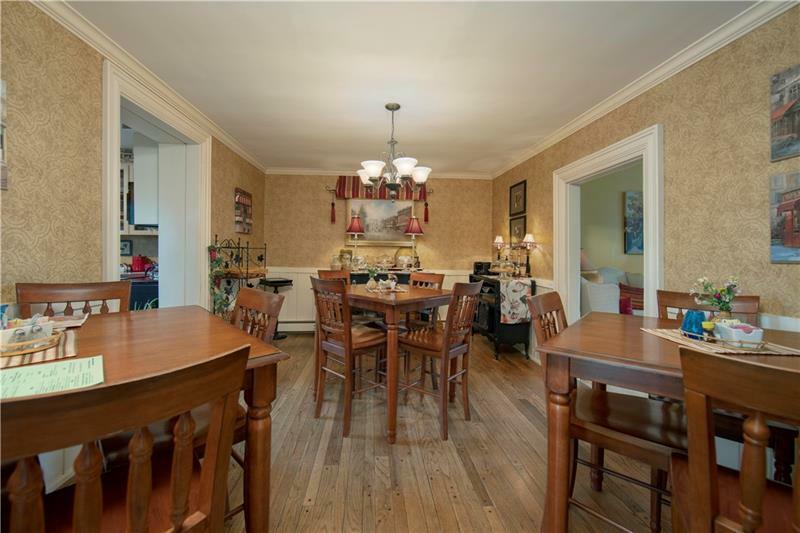 The formal living room is open to the dining area, and the updated kitchen has ample cabinet and counter space. First floor powder room and laundry room. There are 4 guests rooms with private full baths and a separate apartment for the innkeeper. The innkeeper's suite has an open floor plan, and intricate vaulted master bedroom. For extra income, there is a leased restaurant space in the building. The outdoor space is a Secret Garden that is tucked away from the vibrant business district! Highlights include: 2nd floor balcony, stone patio and 2 car detached garage. Updates include:roof, wiring, smoke detectors and hot water tanks. Courtesy of Re/Max Alliance. © 2019 West Penn Multi-List, Inc. All Rights Reserved. Information Deemed Reliable But Not Guaranteed.